Susant Pattnaik is an Young Indian Inventor/ Social Entrepreneur/ Tech Entrepreneur whose inventions have been recognized at national and international level. Being a highly motivated inventor his areas of interest include scientific innovations and research. Also one of his inventions Susant's Breathing Sensor Apparatus has been appreciated by former President of India H.E. 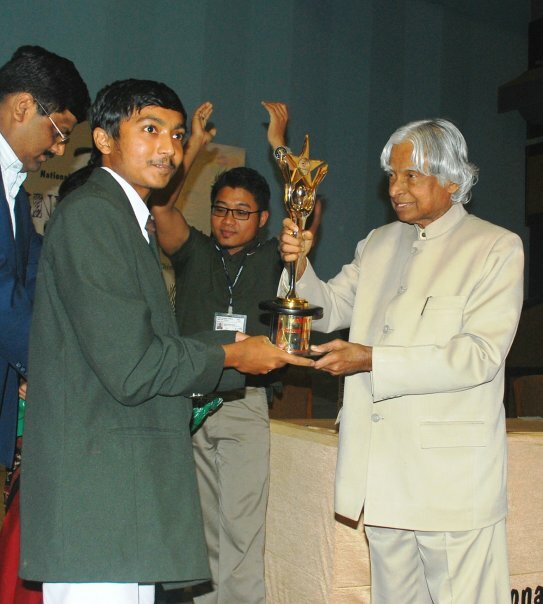 Dr. APJ Abdul Kalam via NIF at IIM Ahmadabad in 2009 for the best innovation among 1000 other innovators. He has also been appreciated by many dignitaries including President of India H.H. Smt Pratibha Devisingh Patil, Dr R A Mashelkar (Former DG of CSIR), Hon'ble Pritiviraj Chavan (CM of Maharashtra), Smt Sheila Dixit (C.M. of New Delhi), Dr Sam Pitroda, Mr James Cameron and many others. He has won several National awards and one International award too. MIT Technology Review published Susant's technology at such a young age of 17 years and he has been invited to present his invention at INK Conference (in association with TED) as Inventor in Fellow category 2010 at Lavasa, Pune. His innovations has been greatly appreciated and recognized by various National and International Organisations like NIF, Techpedia.in, MIT Technology Review, Intel, INK, KVPY, NCSC, NCSTC, IIT-G etc. He is now the Co- Founder & Director of Scientific Innovation Foundation. 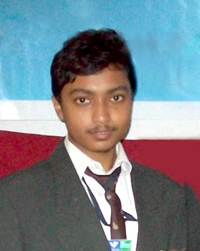 First Youngest Innovator selected and published at a young age of 17 years by MIT Technology Review in TR-35 category, Boston, USA, 2010 for the invention Susant’s Breathing Sensor Apparatus, INK- Fellow 2010 as Inventor, Intel IRIS- 2010 Awardee and Intel IRIS Best Popular Invention- 2010 Awardee, DLF- Pramerica Spirit Of Community Awardee- 2011, Displayed at Rastrapati Bhavan in presence of the President Of India Smt Prativa Devisingh Patel, 2010 by NIF, IGNITE 09 (National Innovation Foundation) Awardee and received award as the first prize by Dr, APJ Abdul Kalam- 2009, Also IGNITE 08 (NIF) Awardee for other invention Accident Proof Technology, KVPY Fellow- 2009 through SP- Basic Sciences, Armaan Fellow- 2011 (for empowering disabled people), NCSC- Awardee- 2009, 35th Jawaharlal Nehru National Science (NCERT) Awardee- 2008, CBSE National Science Awardee- 2008, Recognized by Institute Of Physics, Orissa, 2008 and few more…….. He has invented a device in 2009, by which a completely blind, deaf and dumb (disabled) person can do all types of work as a normal human being can do via breathing which has got many international and national recognitions. He has also invented a technology in 2011, named as Low Cost Voice Operated Electrical And Electronics Appliances. It works only by speaking the name of the electrical Appliance like bulb, fan etc via any cell phone. Recently his research on next invention has been started, Super Sense Technology. It is something that by using that device only via slight head or hand movement that person can control and operate any computers and laptops without touching them. He is invited as speaker at many National and International Conferences like The INK Conference (in association with TED), MIT Technology Review Conference, TEDx NIT Kurukshetra, TEDx Bhubaneswar, TEDx IPSA Indore, TEDx IIT Kanpur, TEDx NIT Rourkela etc. Founded Scientific Innovation Foundation (SIF) in 2010. It is an Organization to promote, generate, document and conceptualize all the innovative ideas present in every nook and corner of the World. For more please refer to SIF webiste. Joined hands with Armaan Foundation as Manager for Research and Development to initiate more inventions to empower people with different-abilities. Also joined hands with Techpedia to initiate more prototype inventions from young inventors of India and convert them to reality and linking them as well to various industries. Marketing and promoting of his inventions has been taken initiative by Armaan Foundation, Techpedia, NIF, IIT- Gandhinagar etc.